With Nevron Calendar creating single and recurring events to best organize your schedule is done with just a click! 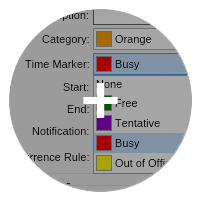 Viewing the calendar select the day and double click on the time when you'd like to schedule the event for or go to the Appointment tab on the Ribbon menu bar and click "Add". 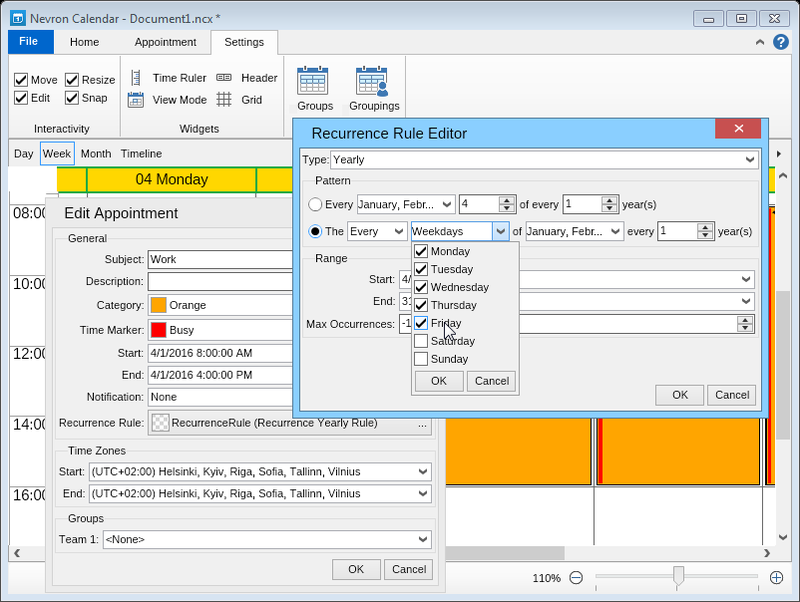 You can select either a one-time event or a reccuring appointment, by either choosing a Recurrence Rule or leaving it to "Automatic". 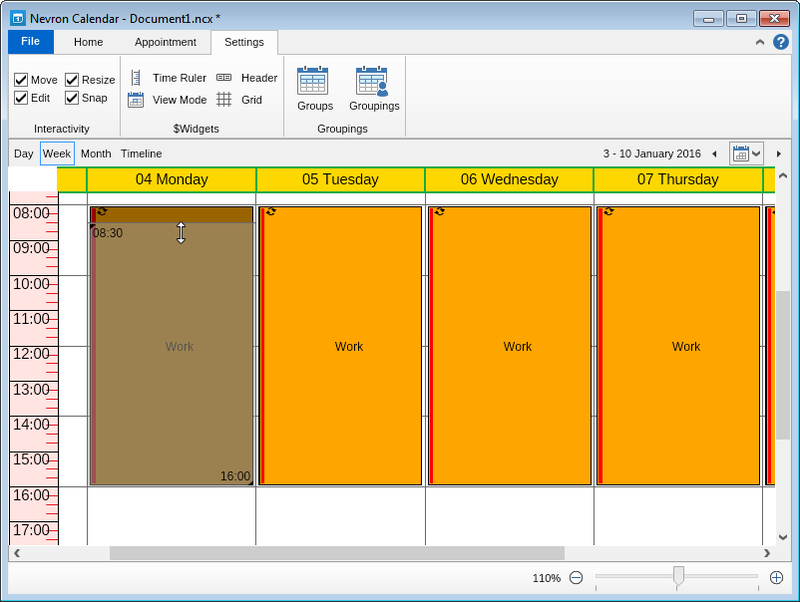 Nevron Calendar comes with 4 default views (Day View, Week View, Month View & Timeline View). 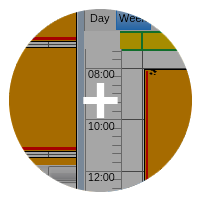 For maximum convenience you can switch either one of those views to a horizontal or vertical orientation. 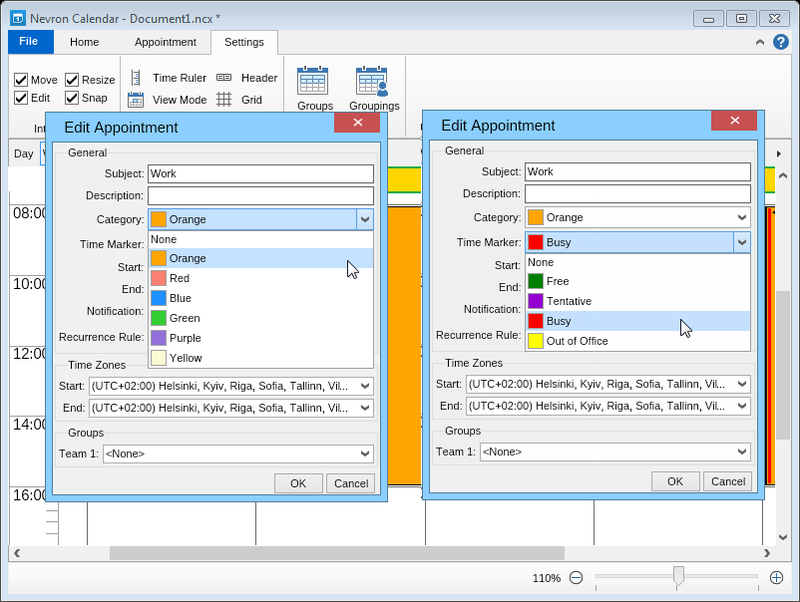 With Nevron Calendar you can use both categories and time markers to create visual differences between events. Nevron Calendar groups allow you to group series of events for better reading. You can, for example, create a group collection for all of the events in your calendar and you can add different items in the collection (work, travel, rest). 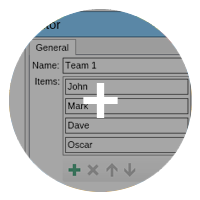 After you assign a group item to each event, the appointments in the calendar will be separated in different columns, organized per category. 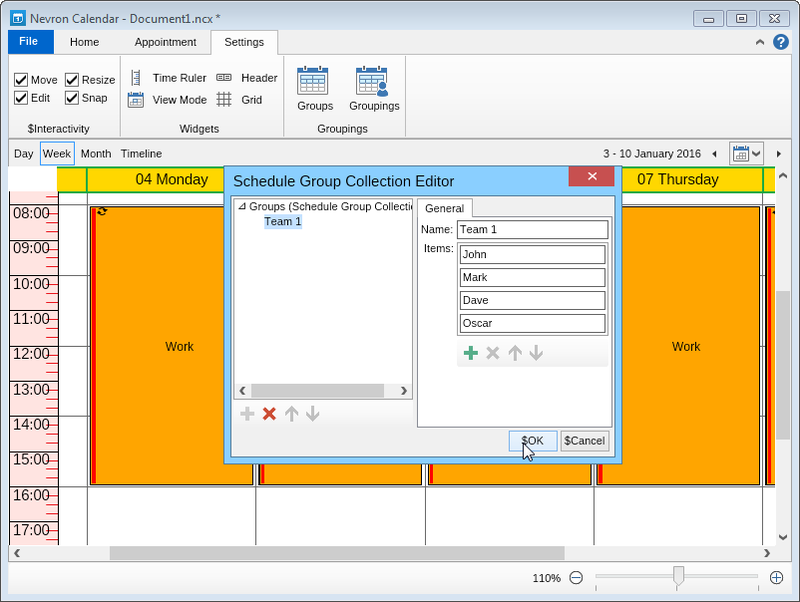 The Nevron Calendar Groups is a feature particularly useful for scheduling shifts in a workplace, or visualizing a very complex and detailed calendar. 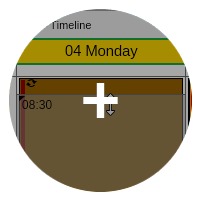 Move - drag and drop any event to a different time in the calendar. Resize - change the duration of an event by dragging its begin or end time. Edit - pops up an advanced editor, allowing you to modify every aspect of a single event or series of events. 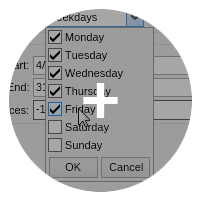 Snap - when selected it automatically adjusts the begin or end time of a dragged or resized event to match a tick (minor or major) of the time ruler. 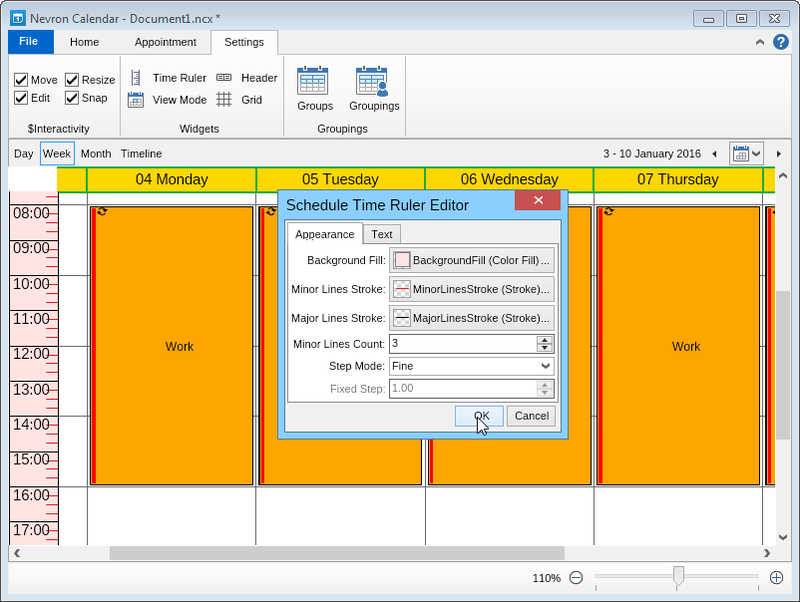 Nevron Calendar supports multiple customization modes, allowing you to style the view of your calendar unlike any other software on the market. 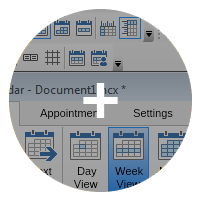 View Mode (size) - specify the size of the calendar you are viewing. 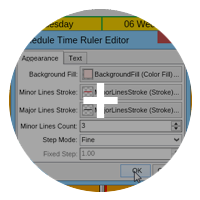 Time Ruler - adjust all settings of the time ruler including background color; minor and major strokes color, thickness, etc. ; lines step mode; text font, text color; size and date and time format mode. Header - specify background color; line thickness, type & color; text color & font; label padding; date format and date range format. Grid - set custom background fill; minor & major lines stroke (color, thickness, etc. ); minor lines count, step mode, fixed step; highlighted cell fill, selected cell fix; text color, font, size, etc. 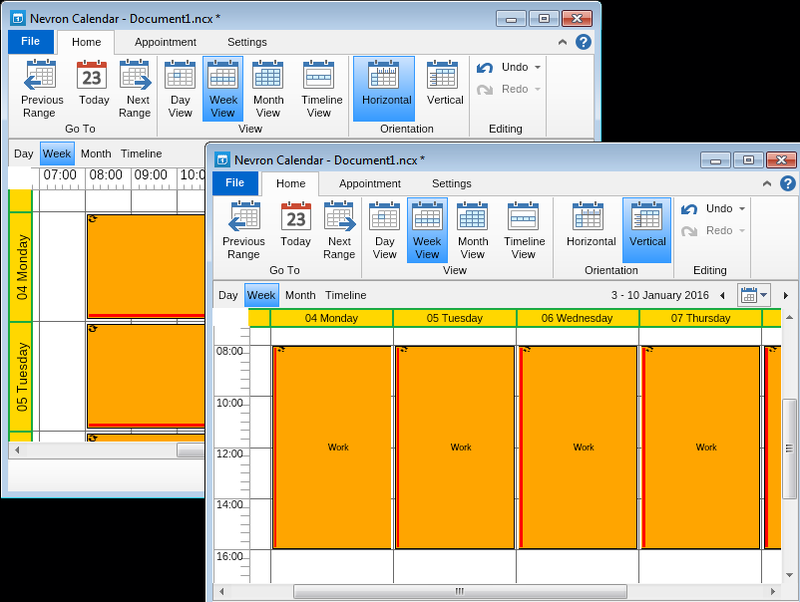 Nevron Calendar comes with two modes for your interface: the new, modern Ribbon, similar to the Microsoft Office products you are already familiar with, as well as Command Bars version (old style Microsoft Office) allowing you to move various sets of functions anywhere in the calendar and arrange what the set contains. 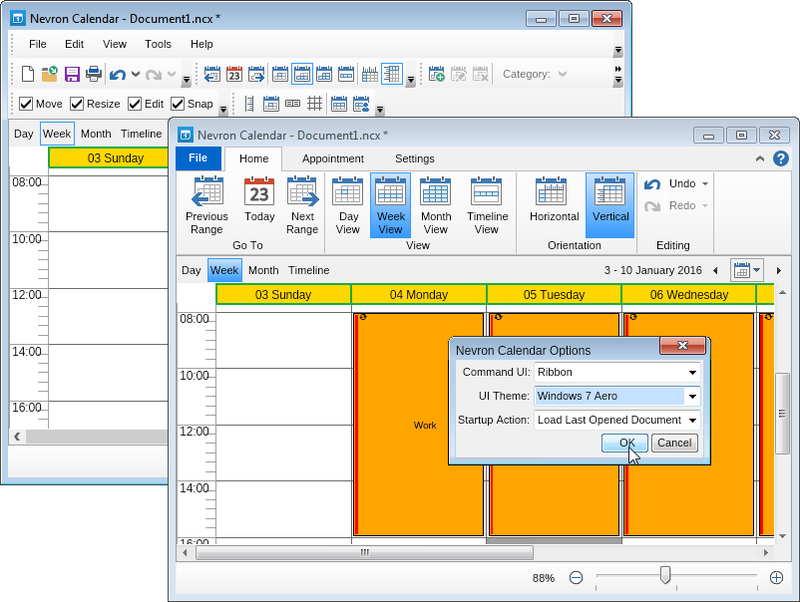 To add additional customization options, Nevron Calendar comes with several predefined themes for you to choose from: Windows 8, Windows 7 Aero, Windows XP, Mac OS Lion and several versions of the Windows Classic theme. Nevron Calendar allows you to save your calendar in a native, NCX format or the popular iCalendar or export it to an image or PDF. Saving your events in an ICS format allows you to quickly import them into any other calendar you may be using (Google Calendar, iCloud Calendar, etc.) without the need to grand permissions to the applications to communicate. 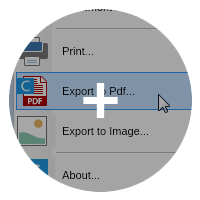 You can export your calendar in a PDF format, choosing between over 100 predefined paper sizes or selecting your own custom size. 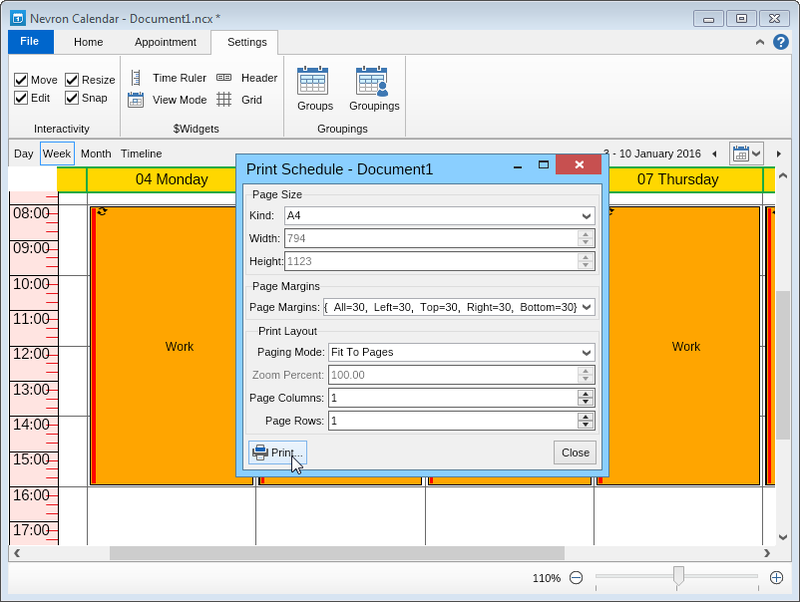 Nevron Calendar allows you to specify print margins and paging mode (fit to page, fit to pages width, fit to pages height), as well as page columns and rows (splits your document into several different pages, depending on the selected number of rows and columns). 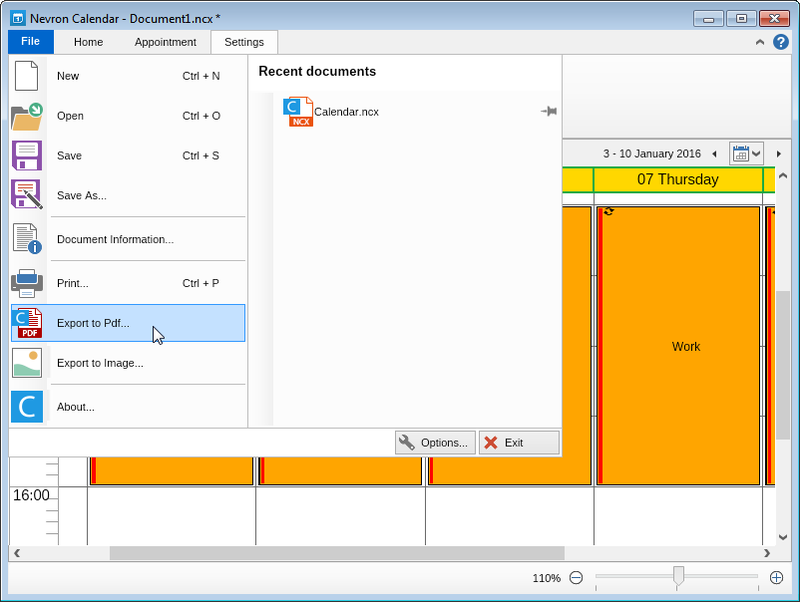 Nevron Calendar allows you to export your calendar as a PNG, JPEG or BMP file. You can select the image size, as well as the resolution of the file (dots per inch - dpi) and either save it, or copy it to your clipboard. With Nevron Calendar you can send your current calendar view directly to your connected printer, choosing between over 100 predefined paper sizes or selecting your own custom size. 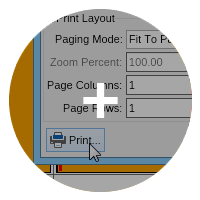 Nevron Calendar also allows you to specify print margins and paging mode (fit to page, fit to pages width, fit to pages height), as well as page columns and rows (splits your document into several different pages, depending on the selected number of rows and columns).